On Tuesday, February 25, 2014, the New Writing Series presents translator, playwright, and dramatist Philip Boehm. The special Tuesday event will be held at 4:30pm in the new Black Box performance space in 104 Stewart Commons and is free and open to the public. Poet, translator, and UMaine professor Jennifer Moxley will host and introduce. Philip Boehm has translated numerous works from German and Polish by writers including Ingeborg Bachmann, Franz Kafka, and Stefan Chwin. His translation of Gregor von Rezzori’s An Ermine in Czernopol was published by NYRB in 2012 and selected for the 2013 Helen and Kurt Wolff Translator’s Prize awarded by the Goethe-Institut Chicago. For the theater he has written plays such as Mixtitlan, The Death of Atahualpa, and Return of the Bedbug. He has received awards from the American Translators Association, the U.K. Society of Authors, the NEA , PEN America, the Austrian Ministry of Culture, the Mexican-American Fund for Culture, and the Texas Institute of Letters. His translation of Herta Müller’s The Hunger Angel won the National Translation Award in 2013. He lives in St. Louis, where he is the artistic director of Upstream Theater. Boehm’s visit is part of a semester-long celebration of the act and art of translation that will also feature readings by Rosa Alcalá and Jennifer Scappettone (see full NWS schedule here). UPDATE The Grady Awards event originally planned for Feb. 13 is now scheduled for Thursday, February 20, 2014 (same place and time). On Thursday, February 20, the New Writing Series celebrates the winners of the 2014 Steve Grady Awards for Creative Writing, who will read from their winning manuscripts. The event will be held at 4:30pm in the Black Box APPE space in 104 Stewart Commons and is free and open to the public. This year’s judges were Anna Moschovakis (poetry) and Peter Markus (fiction), both of whom read in the New Writing Series in the spring of 2013. The event will be hosted by Creative Writing faculty members Gregory Howard, David Kress, and Jennifer Moxley. You’ll find brief biographical statements from the winners below. Maurice Burford currently lives, writes, & raises his two cats in Bangor, Maine and is the poetry editor for HOUSEFIRE Publishing and is the co-editor of Mammoth Editions, both based in Portland, Oregon. His work has recently appeared in Similar Peaks, Shampoo, & Juked, and is forthcoming from West Wind Review. He is also the author of the chapbook An Atomic Fact (Horseless Press, 2013), Rimbaud’s / Poems (Grey Book Press, 2012) and, with his partner Jess Rowan, Prithee (Abraham Lincoln Press, 2010). Burford, who shared the 2014 Millay Prize for Poetry, won second prize in Graduate Poetry for “Frostbite” and “The Optimist.” The judge was Anna Moschovakis. Alexander Champoux is Coordinator of the Writing Program and Farnham Writers’ Center at Colby College in Waterville, Maine. He graduated from Trinity College in 2011 with a B.A. in English: Creative Writing (minors in Mythology; Writing, Rhetoric, and the Media Arts), and is so excited to be back on the student side of education again, pursuing his M.A. in English: Composition and Pedagogy. Champoux won second prize in Graduate Fiction for “Imperfect Tense.” The judge was Peter Markus. Sarah Cook has other interests. Proof of such can be found at or is forthcoming in Poor Claudia, SHAMPOO, Gesture, Illuminati Girl Gang, and Gaga Stigmata, among others. Cook won first prize in Graduate Poetry for “Poem in response to snow and other things.” The judge was Anna Moschovakis. Reuben Dendinger grew up in the Black Hills of South Dakota, but somehow ended up at the University of Maine where he currently studies English and History. He lives with his wife, Maia, and his cat, Trismegistus. Since boyhood he has pursued an amateur study of cryptozoology, and in his spare time he writes fantasy stories. His spirit animal is the mountain lion. Dendinger won second prize in Undergraduate Fiction for “Chretien’s Tattoos” and “The Fresco at Diatomacea.” The judge was Peter Markus. Seth Dorman is a Maine native in his final undergraduate year. He is majoring in English, with a concentration in creative writing, and minoring in history. He works as an opinion columnist for The Maine Campus, a tutor in the Writing Center, poetry editor of The Open Field, and editor-in-chief of the student publication Doulos, a journal of Christian thought. 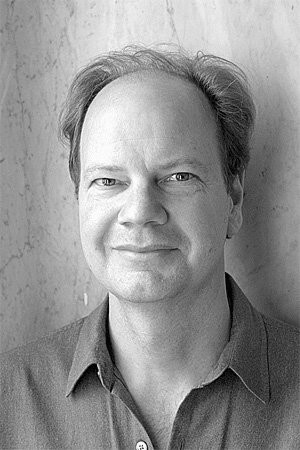 Dorman won first prize in Undergraduate Fiction for “The Creation of Adam” and “Lauds.” The judge was Peter Markus. He also won second prize in Undergraduate Poetry for “O New Jerusalem!” The judge was Anna Moschovakis. Sean Miller has been posing as a Maine native for over twenty years, though only to those who don’t ask otherwise. He is a recent graduate of the University of Maine, which has left him gainfully unemployed. This leaves him plenty of time for reading books and drinking whiskey. He used to be a poet, and still is. Miller won first prize in Undergraduate Poetry for “in order to.” The judge was Anna Moschovakis. Rose Wednesday is an MA student of fiction at the University of Maine. She has been published in the Armchair Aesthete and Stolen Island and has an upcoming story on Timber Magazine Online. She is current fiction editor of Stolen Island. When not in Maine, she spends her time in Virginia with her partner and their feral cats. Wednesday won first prize in Graduate Fiction for “The Artists, from an Unnatural History of Humans in Love.” The judge was Peter Markus.